There are a multitude of activities for children during the school holidays to keep them entertained. With family cabins still available for this period and over the Easter break, give us a call now to book your accommodation. 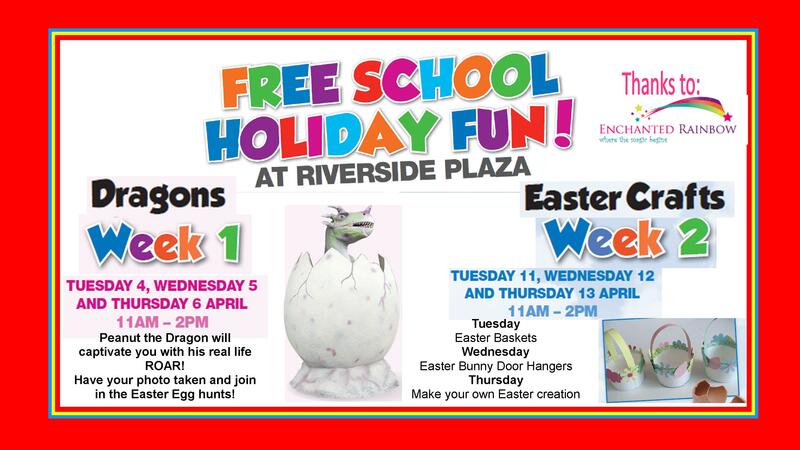 RIVERSIDE PLAZA – Within walking distance to the park, Riverside Plaza have organised free school holiday fun that is always a great hit with the kids. FUN CITY – Also next door at the plaza is Fun City with heaps of entertainment for the kids, including Laser Tag, Formula E Go Karts, Haunted House, Rock Climbing, and much more, even Kidz City which is great for the little ones. KIDSTOWN is an adventure playground and only a 5 minute drive from the park. It is a great place to take the kids with five brand new slides, fully fenced play spaces, mazes, train rides, cafe, BBQ’s available, all for just a gold coin donation. More activities to keep in mind are Inflatable World Oz (home to the biggest inflatable playground in Australia) and Go Jump indoor trampoline park with wall to wall trampolines.